I’m a sucker for romance. Always have been. I had thought that I might grow out of it as maturity set in and idealism gradually morphed into cynicism. But no. I wrote earlier this week about Aron who, in the movie For some inexplicable reason, tracked down a ticket controller to invite her out for a cream cake. And while I didn’t get any such invitation, what happened was just as good. I’ve been promising myself for two weeks that I wouldn’t get out of bed yesterday. I was going to stay offline completely – no laptop – and just have a day to do nothing. But even though I didn’t set my alarm, I woke up, as usual, at 7.30 am. Not impressed I got up, wandered around, and then went back to bed. At 9 am I woke once again to the sound of the doorbell. I was tempted to ignore it but I knew that if I did, I’d spend the day wondering who had been there. So I got up, sans glasses, and answered it. A young girl – a stranger – stood outside. Mary Murphy? she asked. Igen (yes), I replied. Ezeket neked (these are for you), she said, handing me a bunch of flowers. And with a final Szép napot (have a nice day), she turned and left. I called out a belated thank you, and took my flowers inside. Still half-asleep and sans glasses, I put them in water and went back to bed. I lasted until 2pm before giving up the ghost and getting up – properly this time. I went in to check my flowers to see where they’d come from. The usual plastic sprong with the little envelope and card was missing. Now, I’ve just finished the eighth of twelve books in the Inspector Morse series (I’ve been reading them back to back) so my detective skills are at an all time high. I made a coffee and sat down to figure it all out. 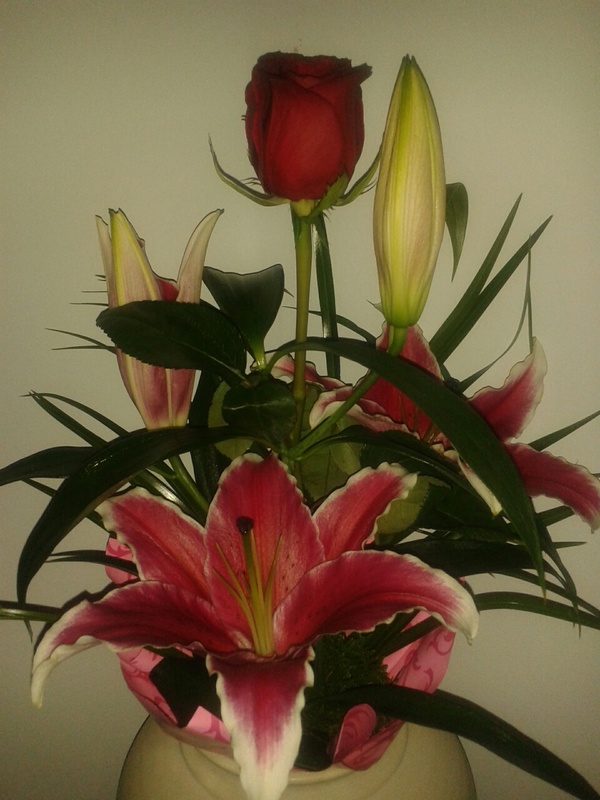 The flowers hadn’t come naked, as they usually do if delivered from a florist. They’d been wrapped in paper as they are when you buy directly. The girl didn’t ask me to sign anything either, so it wasn’t a florist who delivered them. mmmmm…. I looked again for a note – and this time found it amidst the stems. Typed. One line. I meant that you should discover me so, by my faint indirections. I recognised that … a line from my favourite Walt Whitman poem Among the multitude. Intriguing. There’s a lot to be said for it. Romance, that is. I read a post on FB this morning that served as a sharp reminder that sometimes it can be left too late. Too often, while we might start out with grand romantic gestures, these fade over time as the more mundane reality sets in. Equally, we might confuse the ‘grand’ with expensive, expansive, and excessive, when in most cases the simpler the better. I’ve a lot to be grateful for this week – including Thanksgiving and turkey leftovers – but I’m especially grateful for the thought behind the flowers. If you’re reading this, thank you. You made my day. And you never know:- you might inspire others to revisit the romance in their lives, too. I took Art in school. I can’t draw but in my early teens I quite fancied myself as an impressionist. Daubing various splotches of different colour paint on a canvas and trying to make them look vaguely like something was therapeutic. My trees morphed into waterfalls and my meadows into oceans, depending on how my paint ran. My frustration lay in the fact that in my mind’s eye I could see exactly what I wanted to render on paper, but somehow, that vision never made it from my brain to my brush. I’ve stood in front of some paintings in galleries, wondering at the mind behind the madness on the canvas. I’ve seen adult work that could have been improved or bettered by a four-year-old. In my ignorance, I’m quite critical. I’m no expert. I’m more familiar with what I like than with what I’m supposed to like. And whether or not the artist is known or unknown is irrelevant. Despite my ignorance, paintings fascinate me. I might go back five or six times to visit a piece before buying – just to be sure that it sits well with me. Right now, I’m obsessing over a painting that is being exhibited at a new gallery down on Üllői út – my street. The gallery is like a breath of fresh air on a thoroughfare that is rapidly lining itself with bars selling 4 cl of Jagermeister for 290 ft! The bright, spacious premises that is 60-62 Üllői út, is now home to Budapest Art Brut Galéria. The walls are lined with bright, colourful paintings painted during a recent 24-hour paint marathon. Curiosity got the better of me this week and I went inside. The Moravcsik Foundation started in 1991 with the sole aim of contributing to the treatment and rehabilitation of psychiatric patients through art therapy. In 2005, it helped create an art therapy workshop within the nearby Psychiatric Clinic at Semmelweiss University. In 2006, the artists’ work was first introduced to the public in an effort to reshape its perception of those living with psychiatric illnesses. 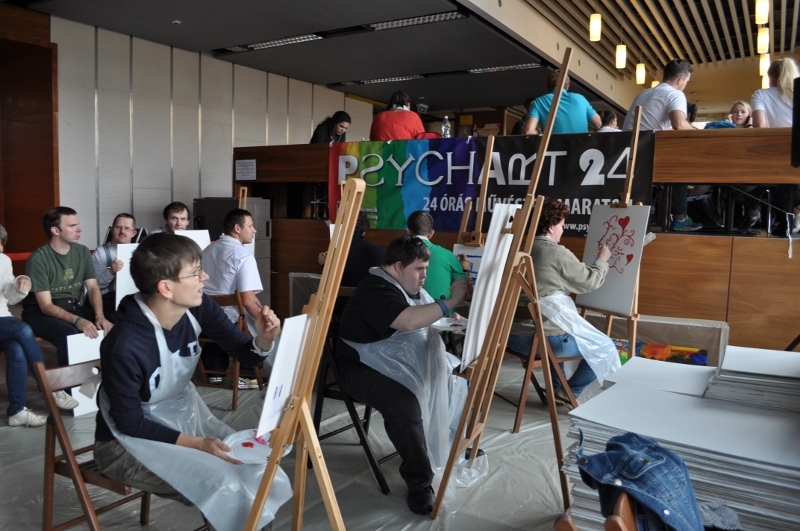 Psychart24 saw Art Brut artists working alongside professional and amateur artists for 24 hours to produce final pieces that were then adjudicated by a panel of judges. A number were chosen for exhibition and sale in this new gallery. Beside each painting sits the name of the artist – just their name. There’s no mark showing whether or not they’re patients. And while the price of each painting might speak to how good it is, it’s no indication of the mental state of the artist. I was enthralled. There are many artistic luminaries whose sanity has been questioned over time. Be it Picasso and clinical depression or Van Gogh and bi-polar, somehow art has always been tinged with a little bit of creative insanity. The world is getting smaller by the day. 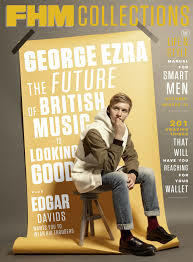 A friend of mine in Palm Springs, California, emailed me to say that they’d heard an interview with a young musician, George Ezra, where he talked about his song Budapest. They mentioned that he was going to play a gig in the city this month. I checked and it was true. I’d not heard a thing about it here, but did get tickets. It was on at the Akvárium Klub – a place with a rather spotted political history and one I don’t particularly care for, even before it was taken from one and given to another. But the tickets, at 4500 ft (€15 / $20) were a steal and I so wanted to hear how he sang the Budapest song live. I’d only ever heard it sung live by the inimitable Jess Leen and wanted to compare. ate – nearly 45 minutes after the support act left the stage and he played for just 50. Fair enough – he only has the one album to draw on. His banter needs work but am sure he’ll grow into it – and that’s me being really critical. I was by far in the minority age-wise and everyone else in the room seemed to be happy enough. His sound, to this untrained ear, is all over the place. I heard shades of country, of Wham!, of Bowie, and while many of his songs failed to fully deliver on their promise of greatness, the potential is definitely there. I reckon in a few years’ time, when he figures it all out, I’ll be getting tickets again. He does have an amazing voice for a young lad who looks like he’s just made his confirmation. The video he did for Listen to the man (my new favourite of his – am partial to anything that tells me I don’t need a plan 🙂 ) was shot with Ian McKellen – one of my all time favourite actors. A must watch. It must be amazing to be so young and to have such a huge following. To be centre stage doing what you love to do and have everyone applaud, and ask for more. To have featured with Ian McKellen, too? What a life – and it’s only starting. Apparently Ezra’s 2015 tour sold out in 10 minutes. The boy’s got talent. It’s been ages since I’ve been to the pictures. I generally catch up on what’s playing when I’m on a plane or when the DVD goes on sale. I’d forgotten how much I used to enjoy it. When I was living in Oxford, I had a membership card with the local arts cinema and saw everything that they showed. Likewise in Chichester. It’s a habit that I’ve gotten out of and one that I need to get back into again. For weeks now some of my friends here in Budapest have been banging on about a low-budget Hungarian film – For some inexplicable reason – that is so good, people actually applaud at the end. No one really explained what it was about so I went tonight on recommendations alone. Written and directed by Gabor Reisz (a first movie for him), it’s nothing shy of brilliant. A review in the Hollywood Reporter describes it as an ‘unpolished debut’ but if this is unpolished, then Hollywood can keep its sheen. Aron (Aron Ferenczik) has just turned 29. An unemployed film history graduate, he’s floundering in a world that wants him to wear a shirt and conform. His girlfriend, Eszter (Juli Jakab) has dumped him, taking everything with her. She took her hairs from the drain and left me, he tells us. How could you not fall for a man who would even notice they were missing? Seeing Budapest on screen, the pubs and places I go to, the trams I take, the streets I cross, was all a little surreal. Seeing the family dynamics in action was hilarious (Zsolt Kovacs is brilliant as his dad). Seeing his friends in all their normalcy was compelling. This is a movie about life – it doesn’t require any great imagination and far from transporting me into a world of fiction and fantasy, it was like getting a peak at a reality from a rather clever perspective. And it gave me something to think about. Aron’s fixation with a childhood incident at school where his friends stood by and watched him get beaten up was an uncomfortable reminder of some of the grudges (thankfully they are few) that I hold. On my way home, I made a conscious decision to let them go. That was worth the ticket price alone. His bumbling confession to Eva Ink (Kata Bach), a ticket controller he meets on the tram and tracks down to ask out was endearing. She thought him mad. I thought him fabulous and wished, not for the first time, that there were more men like him the world. His blithering rant at the young one he picks up one night should be mandatory watching for anyone coming of age – it was certainly a shout-out to the sisters. Aron isn’t a drinker but pushed to the limit he goes on a binge and wakes up the next morning having bought a ticket to Lisbon (sort of puts anything I’ve ever done in the shade). He goes. And he comes back. And somewhere in the interim he makes his peace with the world. Only if we create something meaningful, that has a relatable story, can we have a better chance of exporting our film in and beyond our borders. It’s universal. It’ll travel. It’s a film worth watching. And one worth buying to watch again. It’s on my shopping list. A hectic week in Geneva at the Geneva Internet Conference (GIC) was followed by an equally hectic weekend in Budapest for Jack Doyle’s 5th Birthday. I am knackered. Looking at the week ahead, it seems that there’s be little in the way of rest there either. I’m tempted to see it all as a practice run for Christmas and the New Year, but secretly I’m hoping that December will be a quiet one. The older I get, the more I realise that I have a limited amount of energy and what I have in reserve needs to be restored on a regular basis. I can’t keep taking from the pot without putting back. Burning the candles at both ends is not for the fainthearted. 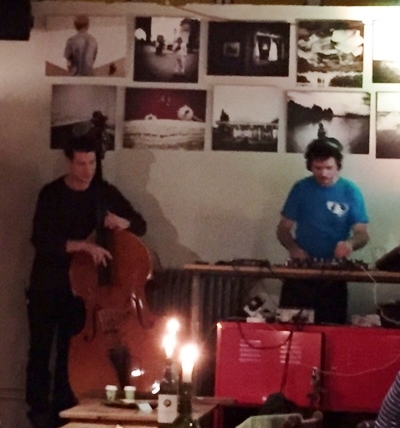 In Jelen last night for a quick bite after the final showing of Pretext from Budapest English Theatre, there was an odd combination on stage: a DJ and a double-bass player. The DJ played techno tunes and the bass player played along – beautiful. 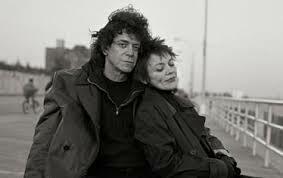 While I’m not a great fan of techno music, I was recently introduced to Laurie Anderson (she who was once married to Lou Reed and who, in her lovely tribute to him in Rolling Stone, summed up their relationship beautifully: For 21 years we tangled our minds and hearts together). I’m not even sure if it is techno music – or what the definition of that it – but in my world, that describes it perfectly. In our Sleep – a duet with Reed – is one of my favourites. Born, never asked is haunting. Perhaps what she does is more performance art? I don’t know. Am not musically literate enough to say. Anyway, back to last night and the two boys. I don’t know who they are or what they go by. Exhaustion had kicked in and I wasn’t compos mentis enough to ask or note. But it was lovely. And, given the fact that the GIC had addressed the issue of silos in Internet governance, i.e., where many international organisations, both from the UN and civil society, address the same issues (e.g. cybersecurity) from different perspectives (e.g. health, development, human rights) and rarely talk to each other, this melding of two very different musical forms into a coherent whole gave me pause for thought. 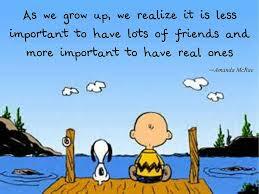 Instead of focusing on our differences, perhaps we might be better served by concentrating on what we have in common. Instead of sticking to our guns and fighting our individual corners and angles, perhaps we might get further if we attempted to seek a compromise. Instead of creating an us-and-them world, we might start thinking and talking in terms of we and our. I’m not for a minute saying that we should blend into an amorphous whole and lose our sense of individuality – that would be boring. I just think that the sum of the parts is often greater than the sum of the whole. There are people with whom we work well – people who bring out the best in us, who have a complementary set of skills, who know how to deal with our quirks and follies. And there are people with whom working is, well, work. The same goes for relationships. I know the drama queen in me gravitates towards calm and when on holiday, I’d so much prefer that other person (or people) to be organised and in charge. You don’t get to be one vowel from venerable, age wise, without recognising your limitations, and giving the nod to your strengths and weaknesses. But perhaps admitting them to the world is a little more daunting. I’ve been known, on occasion, to talk to myself – out loud. It can be rather disconcerting for passersby who happen to overhear the argument I’m having, especially when there is no visible evidence that I’m in talking to anyone but me. No headphones, no microphone, no phone at all. Usually they tend to give me a wide berth. Sometimes they stand and watch, particularly if my argument involves my pacing up and down the street as I try to decide which way I’m going. Yes, there is dark side to us all. I was down near Boráros tér the other day. I’d popped into Spar. I’d never been into this particular branch before and as I tried to figure out where the shop entrance was (it’s in the basement, if you’re interested), I saw a Christmas tree, fully decorated, standing near the door. I stopped and let out a very loud ‘Oh, for goodness sake – it’s only November!’ The security guard might have missed my meaning but he certainly caught my exasperation and from his resigned shrug, I reckon he was in complete agreement. I’ve never noticed Christmas coming early to Budapest. Yes, I’ve complained when it hits before the prescribed date – 8 December – and when it lasts longer than the deadline – 6 January, but I’ve never seen it appear this early. Of course, that prescription is one I’ve brought with me from home. 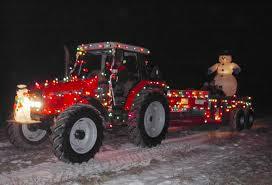 The 8th of December is known in Ireland as Farmers’ Christmas; it’s the Feast of the Immaculate Conception, a holy day of obligation, and traditionally the day when nearly every farmer in the country headed to Dublin to do their Christmas shopping, heralding the start of the season. The 6th of January is known as Nollaig na mBan (Women’s Christmas) – another feast day – this time of the Epiphany. This is traditionally when the women of Ireland get to celebrate after weeks of hard slog in the kitchen, while the men stay home and do the work. It brings the season to a close. Christmas outside Christmas is, for me, evidence of our growing obsession with consumerism, or perhaps, more correctly, evidence of the market’s (natural) growing obsession with consumers. The more time we have to shop, the more money we will spend; so it follows that the longer the lead-up to Christmas is, the larger their profit margin. I get the fact that our antipodean friends celebrate Christmas in July (as a bit of fun, but still mainly Christmas in December). I understand their need to have the holiday in the cold. My first Christmas in California was so surreal that I simply couldn’t take it seriously – eating turkey in shorts and a t-shirt, al fresco, in hot weather just didn’t do it for me. July or December works. But not November. Christmas marks the end of yet another year. It’s like the last hurrah before a new chapter begins. It’s a time of homecoming, of reckoning, of forgiveness, of goodwill. It’s when the goodness in most of us spills over and we become nicer people, however temporarily. And you’d think that would be something I’d welcome? US president Calvin Coolidge reckoned that ‘Christmas is not a time nor a season, but a state of mind.’ And in an ideal world, I’d be right there on the podium with him. But as the cynic in me screams commercialism, even the idealist in me says you can get too much of a good thing – so please, World, save Christmas till December. It’s easy to confuse me. It doesn’t take much. I even manage to confuse myself on occasion. There have been times when I’ve told a story with such conviction that I actually believed it had happened, that I’d been there. I have had dreams, too, that I’ve recounted as fact and have been surprised to be contradicted in retelling them as such. But this week, I surpassed myself in my ability to delude. One folder in my portfolio career involves working with a Swiss-Maltese cooperation with offices in Malta, Serbia, and Switzerland. My colleagues are spread around the world and it’s not unusual to have four or five countries at a Skype meeting. 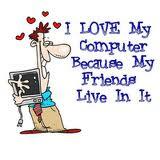 We rarely use video and mainly rely on voice or chat. Some of us are together this week for the Geneva Internet Conference and on Monday, the team began arriving from their respective four corners of the world. I was in the office when K walked in. ‘Hey – how are you? Long time no see… it’s been ages’, said I, full of enthusiasm as I’ve a lot of time for her. ‘You know we’ve never actually met, Mary’, she replied. It takes a lot to render me speechless but I was gobsmacked. Never met? Of course we have. I recognised you immediately. I know you. The last time K was in Malta was 2009. I didn’t get there until 2010. I went back through every conference and meeting and event in the intervening four years and she was right. We’d never actually met in person. 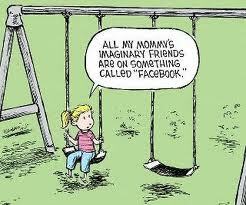 If ever there was an argument in favour of social networking and social media and virtual get togethers, this was it. We’d been in contact so often over the Internet that she had become real – very real. The flip side though was that it scared me a little. There are days when my grip on reality is tenuous at best, a fine thread that could snap at any minute. I’m fully aware of my ability to romanticise, to fictionalise, to visualise; I don’t need any encouragement. Later, as the conference participants began to arrive, I saw some familiar faces – Internet governance is a fairly specialised subject and there are probably 80 or so key players worldwide so lots of the faces are the same. I got chatting to one delegate who told me how great it was to see me again. I tried my damnedest to keep my pathetic attempt at a poker face in place but failed miserably. Apparently this was the third time we’d met, in person, and I would have sworn it was the first. This turned my world upside down a little. The blending of the fine line between virtual and reality was a little disconcerting. Here was one person I’d never met in person yet it felt like I had; and another whom I had met in person a number of times, but could have sworn I hadn’t. Perhaps it has something to do with what’s called the online disinhibition effect that allows us to be more ‘real’ online… Something to think about. g yesterday that I’ve never done in my adult life. Ever. Not once in living memory. And I’m racked with guilt today. I feel like I’ve sold my soul, gone over to the dark side, crossed a line of no return. I left the flat for the airport without a book in my bag. Usually I take one book for every two days I’m away – and this time I didn’t take any, not one, even though I had two staring at me lovingly from the kitchen table as I left. 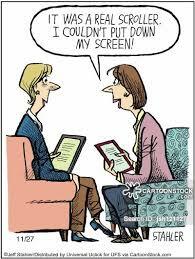 Last month, after years of dithering, I broke down and bought a Kindle. I blame it on the airlines and their meagre baggage allowance. If it hadn’t come down to a choice between wine and books, I’d never have crossed the line. I love my books. I haul them with me whenever I move. I have boxes of them in the attic at home and my shelves in Budapest are double-stacked. I have converted plants stands to book stands and regularly have stacks of the blighters lining my hallway. I classify them as long-term relationships or one-night stands, the latter being those in which I’m not emotionally invested. I love the feel of them. The smell of them. The sound of them on a quiet afternoon when I curl up on the couch and hear nothing but the turning of a page. And I like the look of them. The more books someone has in their home, the more I trust them. There’s no scientific explanation for that, but I’ve never laid claim to excessive rationality. I just like people who like books. Ann Marlowe, writing in the Tablet in January, wouldn’t be impressed with me. She writes about accumulation, and the need to purge, to get rid of books in favour of a minimalist-style Kindle. Space is of the essence – but then, which would I prefer? A room with packed bookshelves or one with bare walls… both, cried she, I want it all. Earlier this year, there was an article doing the rounds about how people retain less information when reading an ebook than a real book… and it’s all to do with turning the page. When you read on paper you can sense with your fingers a pile of pages on the left growing, and shrinking on the right. You have the tactile sense of progress, in addition to the visual … [The differences for Kindle readers] might have something to do with the fact that the fixity of a text on paper, and this very gradual unfolding of paper as you progress through a story, is some kind of sensory offload, supporting the visual sense of progress when you’re reading. Perhaps this somehow aids the reader, providing more fixity and solidity to the reader’s sense of unfolding and progress of the text, and hence the story. Anyway, after a month of looking at the thing in its box, I took it out yesterday, charged it up, and downloaded some free books just to try it out. I’m half-way through the first one and I know why it’s free. hs the same. Which is a bad thing, too, as I’ve no sense of how far along I am in the book (and no, the percentage metre on the bottom just doesn’t do it for me). So why do I feel guilty? Perhaps because I’ve been swearing for years that I’d never go there. 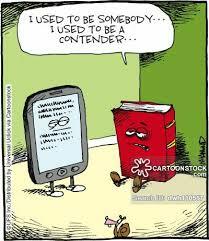 A man I like a lot – Stephen Fry – reckons that books are no more threatened by Kindle than stairs by elevators. So I shouldn’t feel as my going over to the dark side is endangering the species. Another man I like a lot – Douglas Adams – reckons that lovers of print are simply confusing the plate for the food. Fair point. Words are good (or bad) wherever they’re written. And as for Stephen King – If you drop a book into the toilet, you can fish it out, dry it off and read that book. But if you drop your Kindle in the toilet, you’re pretty well done. Enough said, but as I can’t remember ever dropping a book down the loo, that argument doesn’t really hold water. I will persevere though and see how me and my new friend get along. Rome wasn’t built in a day and considering the Tablet I bought last year has only seen the light of day once, I should make a better effort to be more tech savvy. And, of course, there’s always the weight issue. https://i2.wp.com/unpackingmybottomdrawer.com/wp-content/uploads/2014/11/ebook3.jpg?fit=188%2C188&ssl=1 188 188 Mary Murphy https://unpackingmybottomdrawer.com/wp-content/uploads/2017/06/logo-300x82.png Mary Murphy2014-11-17 08:37:582017-11-17 10:09:12Have I sold out? Being Irish, I have an abiding sense of tragedy that sustains me through temporary periods of joy. I wish I could claim those words as my own but I can’t. They are why I fell in love with WB Yeats – Irish Nobel laureate, poet, playwright, politician, and romantic. They are also why the Internet me calls herself ‘stolenchild’ after the most beautiful of all his poems, one that speaks to the Irish worry that a child’s mind might be stolen by the fairies. I’ve been told repeatedly that I’m often away with the fairies – a poetic way of saying that my grip on reality can be tenuous at times. 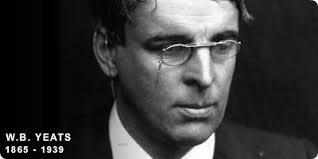 That my love of Yeats might be shared by half of Ireland is no surprise. That my love of Yeats might be shared by a tranche of people in Hungary, though, is quite remarkable. I came across the newly formed Hungarian Yeats Society recently, an enterprise conceived by a young student, Melinda Szűts, who was so enchanted by Yeats’s poetry, drama, and literature that she wanted to bring his work to the attention of other Hungarians. They have big plans for next year, when the 150th anniversary of the poet’s birth will see events in Debrecen, Pecs, Győr, and Budapest. Damien Brennan, President of the Yeats Society of Sligo, the mothership of the Magyar Yeats Társaság, was in Budapest last weekend to give a talk at the Irish Ambassador’s residence on the life of Yeats. Hosted by HE Kevin Dowling, the early evening soirée gathered about 40 enthusiasts in search of something more than the usual dry biography such evenings often entail. Damien didn’t disappoint. He brought the man to life, sharing with us the details of his work that for many (ok, maybe just me!) had heretofore gone unremarked. I was enthralled. 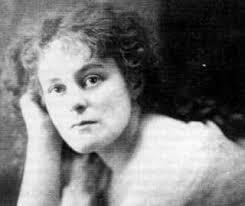 I didn’t know that when Yeats first laid eyes on Maud Gonne, a woman he would love for nigh on 30 years, he remembered the moment as when ‘the troubling’ of his life began, for Maud would never love him back. In fact, she didn’t want to love him because she ‘could never love him enough’. They did get together once, in Paris, in 1908, when, as another love put it, ‘the long years of fidelity were rewarded at last’. Yet it was not to be. But it is more than a love of Yeats that connects Ireland and Hungary. About 1000 Irish live here, the majority in Budapest. The Irish Hungarian Business Circle, with its legendary First Fridays, a social gathering that takes place in the city’s only Irish pub – Jack Doyle’s – on the first Friday of every month, attracts not just Irish and Hungarians but a host of other nationalities, too. The annual St Patrick’s Day celebrations see thousands take to the streets wearing the green. While Szombathely, the homeplace of Leopold Bloom’s father, celebrates Bloomsday every year, Budapest has a Belated Bloomsday coinciding with Museums’ Night, when Joycean devotees gather to celebrate the life and work of another great Irish writer. And the Leopold Bloom Award, a contemporary art award established by an Irish logistics business with a Budapest presence, is given biannually to a young Hungarian artist. Our most recent Nobel Laureate, Seamus Heaney, was commemorated in the Hungarian Academy of Sciences earlier this year when Irish poet Medbh McGuckian came from Belfast to read his poems. And over in Győr, Irish pilgrims visit the Basilica to admire the famous weeping Madonna painting, donated by Bishop Walsh, from Ireland, who was given refuge there in the late seventeenth century. Author James Michener once described Hungarians as the Irish of Eastern Europe. Is it any wonder that I feel so at home here?